Arid areas are vast and projects making use of land and sewage water can be implemented and managed all over the world. 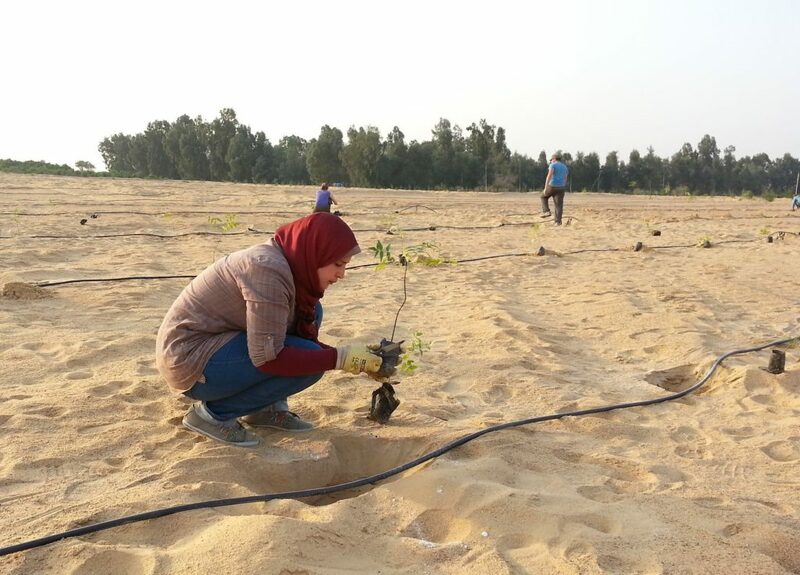 One outstanding pilot project, combining all the scientific expertise in afforestation in arid regions, is the one established by the Desert Timber Company and the ForestFinance Group in Egypt from 2013-2016. The project is part of the develoPPP.de program that Deutsche Gesellschaft für Internationale Zusammenarbeit (GIZ) implements on behalf of the German Federal Ministry for Economic Cooperation and Development (BMZ). The project serves as a showcase and best practice project. The site is easily accessible and can be visited at any time. With 6.7 billion m³ annually, Egypt has a huge potential with regard to recycling sewage and waste water. Desert Timber offers an alternative to hazardous water and waste disposal measures by using pre-treated sewage water from municipal facilities in order to set up an irrigation system to grow trees. Creation of many new long-term jobs in the forestry sector at local and national level.